This book tells the story of Morrigan Crow, a girl born on Eventide, who's fated to die sat midnight on her ninth birthday. She is spared when rescuers by a mysterious stranger, and after they are chased by black-smoke hounds and shadowy hunters on horseback, they escape to a secret city called Nevermoor. Morrigan's rescuer, Jupiter, owns the eccentric Hotel Decalion and has chosen Morrigan to contend for a place in the city's most prestigious society. The young girl must compete in four difficult and dangerous trials against hundred of other children, each boasting an extraordinary talent. I don't a lot of people have really heard about this book when I originally read it back in July. And to be honest, I hadn't either. At least not really. Not until I walked into the Pan Macmillan offices and spent two days job shadowing there. I heard a tonne of praises from the person who had been job shadowing. She, along with others who managed to get an early copy in the UK, loved it. Claiming that it will be the next Harry Potter. Thank you to Pan Macmillan for providing me with an ARC copy of this book. A special thanks to the great person who I had job shadowed. This was truly an amazing gift. Here is just a quick small disclaimer for those reading this review. I have received this book for free in exchange to read it. No money on behalf has been spent in acquiring this book. Please do note that this in no way affects my opinion. All thoughts are my own. The author's writing grabs you from the first page. Through humor and fantastic writing, she keeps you captive. There is no release not even once the story has ended. The flow of the writing is constant, making you turn the pages even if you want to take the story slow just so that you can savor it. The author is not overbearing, instead she pulls you into the world she has created and shows you everything. 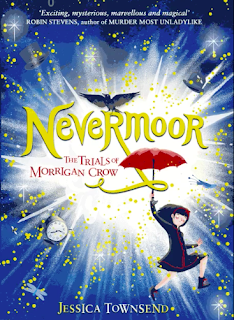 From the awful and dull Jackalfax to the wonderful and bright Nevermoor. The author adds just the right amount of description to her writing to stop you from being confused but the description also allows you to make of the world what you will. If you think the author's writing sounds amazing, then you have to experience the world she has created. It so unique. The author takes everything that you loved as a kid and puts it into this amazing world. There never seems to be a dull moment. Right from the beginning, you wish that you were part of this world because of how real and adventurous it feels. This first time author executed her plot perfectly. There is no denying that this will be one hell of a series. Each and every experience that Morrigan goes through, is well thought through and well planned. It is one adventure after another. There is truly no dull moment in this book. Each trial is just as exciting as the previous one but reveals a little more of the characters as they go along. And when there are no more pages to read, you will wish that there was more. All the characters in this book are incredibly well developed. All of them feel as real as you and I. It was as if the events and the characters of this book actually existed. The author couldn't have done a better job. The author has such an amazing band of different characters and honestly I wish they were all real. Morrigan is a well rounded character that appealed to me so much. It felt as if my childhood dreams and fears were deposited into this one character. She was just incredible. Overall, you have to read this book. No matter what. It is being marketed as the next Harry Potter and they are not wrong. 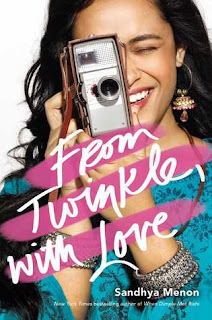 This book was amazing. This is everything you wanted as a child and more. I don't want to say anything else because you should just go and read it. It will be worth it.